As the first day of March and the beginning of a new month, you can collect your monthly freebies. We are over halfway through this year's Daily Dare. Make sure to check out our coverage and get caught up on all the challenges. We are also running an experimental survey for the Staff Tournament. We want to know how Neopia voted for their favorite staffers. Take a few minutes to fill out the Daily Dare Staff Tournament Survey and let us know who you voted for. After you submit your votes (jnAccount required), you can take a look at the results and see who was voted the most for each rank! You can also keep track of your challenges, and show them off on your lookup by updating your Daily Dare Stats. Lots of styles to choose from! We have almost reached our goal (soooo close!) for this year's hosting fees thanks to our wonderful donators. Help us stay up and running smoothly all year long by donating to Jellyneo. 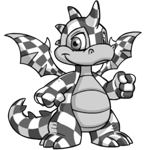 We greatly appreciate it, and are glad to remain your #1 neopets help site in the world! Aspiring to join the Jellyneo team? You can find more details on the Now Hiring page on our current open positions. Item DB Pricing Update: This is just a warning to everyone who tries to game our prices in the Item Database. We will ban your jnAccount and blacklist your IP if you try changing prices for your own profit. We have no tolerance for those who try to bring inaccuracies to the database, and we do take action. Only accurate price changes are welcome! 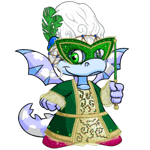 Petpet Park Sale: This Friday March 5th, Fins Feathers & Fashion is holding another one Park Point item sale! Between the hours of 4-5 PM NST, the Paper Clucken Mask will be offered for the low cost of one Park Point. Once the hour is up, it will return to its original price, so make sure you grab yours for the sale price! Check back with our Petpet Park Guide for more updates and job guides. 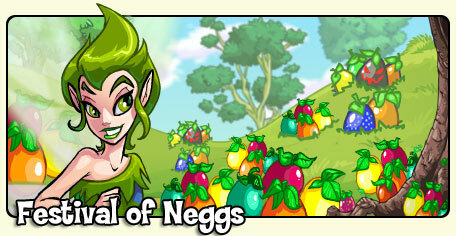 Looks like the Festival of Neggs event will be starting shortly after the end of the Daily Dare on March 15th. There will be neopoint items you can earn everyday. The NC Neggstravaganza Surprise event will be starting on March 23rd. It will feature a daily spring item. Thanks to Sarah for NC items 7 and 8. 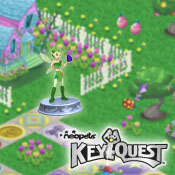 The Negg Faerie will be featured as the newest Key Quest Token this spring! (The email newsletter claims this token will be sold in the NC mall). Premium Collectible Card Note: TNT has finally uploaded the Collectible card for the month of Awakening (February). Less than a week left before the end of the Daily Dare. Remember to complete all 32 challenges before 11:59:59 PM NST, on March 14th, so you can earn some fabulous prizes. On March 15th, the Festival of Neggs will begin. 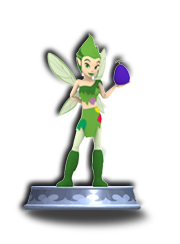 You can earn exclusive items each day, and complete special quests for the Negg Faerie. Petpet Park Sale: Visit Fins Feathers & Fashion Friday (March 12th) between 4-5PM NST and pick up a festive Shamrock Sweater for the low price of 1PP! And now, the latest caption... right in time for some spring showers! Click here for more information about the Festival of Neggs. 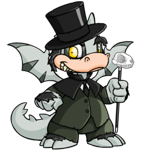 The Neopets Team has started an official fan page on Facebook. 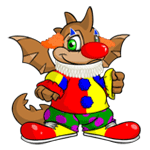 And yes, it's really run by Neopets staff members! If you're a Facebook user (and we highly recommend getting your parent's permission before signing up if you're under 13) visit the page and become a fan. The team has recently posted Daily Dare updates and exclusive art images. And, if you missed our update in our Petpet Park section, there's a Facebook page exclusively for Petpet Park as well! What!? That's not vintage! It didn't even exist! JN Update: We also made some updates to our jnAccount system. (This should be a fix, finally, for people who could not access certain services.) If you encounter any problems, please log out and then log back in. If you cannot login, please try recovering your password, and if that fails, you can contact us for assistance.